In a bit of shocking news, New York Governor Andrew Cuomo has vetoed a popular bill that would have allowed non-profit organizations to continue raffles in order to supplement costs. Specifically, this has major implications for the yearly raffle the Stafford Fire Department holds in order to raise funds for the department. 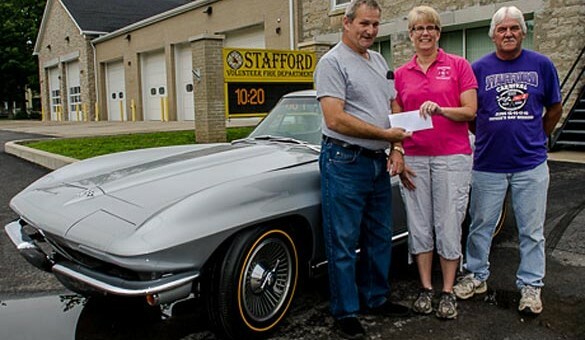 According to local news affiliate, WHEC, each year since after World War II, the Stafford Fire Department has raffled off a used car to raise funds for improvements to its fleet of vehicles and other necessary equipment. This year, however, the state of New York shut the raffle down after someone complained the department was accepting sales with debit and credit cards online, something that has been done for 10 years. The state stepped in and told the fire department to refund all raffle tickets and put the yearly event on hold. The state legislature then passed the Charitable Gaming Act for non-profit organizations to continue their good causes. Despite its strong bipartisan support, Governor Cuomo’s lawyers stated the law would be in conflict with the state’s constitution, and it was ultimately vetoed. This is because those situated outside the community are still able to participate in “gambling” by purchasing the raffle tickets. The New York state constitution sets rules and regulations for gambling in the state. As for residents of Stafford, New York, a tax increase will have to take the raffle’s place in order to continue funding the fire department. Without the raffle, the tax increase has been estimated at around 300 percent higher. The Stafford Fire Department will have to hold a different type of event to get funds, and ask for donations, too. my guess the problem is if someone outside the state of NY wins the state can collect no tax on the winnings like they do at casinos in NY. Political stupidity like that is one of the reasons I no longer live in New York State, having moved to Alabama in 1981 and never regretted it. If the Governor of NY allowed gaming in NYC perhaps the state could stop draining the economic blood out of the rest of the state, lower taxes, and stop the flight out of the state of residents (I gather the state of NY has been in negative growth now for about 5 years). When I travelled the Upstate two years ago much of it is going back to forest with the loss of business and residents due to tax rates and loss of industry. Andrew Cuomo must have mental problems. Why does he concern his self on this matter at all. It’s a charity raffle!